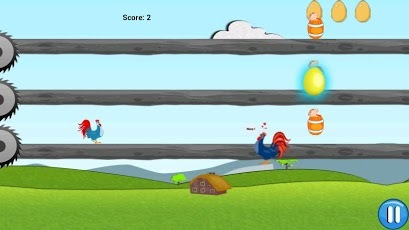 The objective of the game is to save the chicken from hitting the obstacles otherwise the chicken will lose speed and get killed by the moving blades. Gather golden egg and watch to gain points. Beware of stop sign that freezes the chicken for few seconds and the pig that pushes the chicken backwards. How to play: - Tap the upper part and lower section of screen to move chicken up and down respectively - Gather golden egg and watch to gain points. 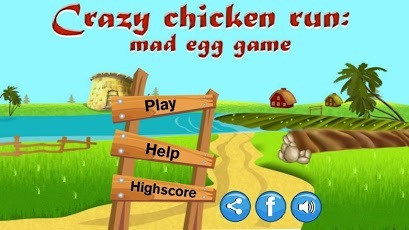 - Stay away from the stop sign as it freezes the chicken -The speed of obstacles increases as the game proceeds. -You lose a life when chicken gets killed by the moving blades. - When you lose all three lives the game is over. Features -Many exciting animations. 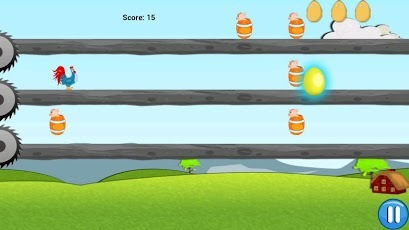 -Awesome graphics and sound effects that make the app even more irresistible. -High scores are saved for each time so that you can track your progress. - Feature to pause the game whenever you want. -Option to switch game sounds on/off.